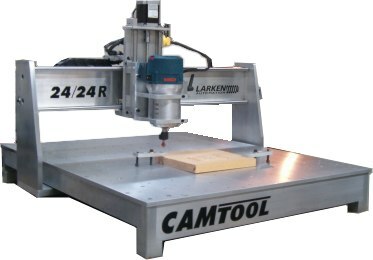 The LNT D-SERIES automatics are designed for the metalworking sector. It has been asapted by various industries such as aviation, vehicles, computers, plumbing fittings, optical instruments and others. With much wider materials choice, not only free cutting steel, brass, aluminum, but also alloy steel, stainless steel can be machined. LICO, A leading manufacturer of automatics in Taiwan, Recently announced a newly developed automatic bar machine. "The real CNC MultiSlide Automatics" modls LNT36 D-SERIES. They combine the advantages of conventional cam-operated automatic lathes with modern PC-based multi-axis CNC controller with both bar chart page and common CNC programming, provides fast set up and easy operation for both experienced operatore and new comers. The machine comprises 4 rugged infeed or compound slides and a non-driven (8ST) 8-pos. turret on compound slide. They permit longitudinal turning, complex contouring, thead chasing, by simple carbide inserted tools for O.D. work as well as drilling, boring, threading, recessing and tapping for I.D. conventional form tool can be used.